No toolkit is complete without a high-quality multi tool that allows for quick completion of trade applications for a range of materials. It is hard to beat Milwaukee multi tools when in the market for this device, as Milwaukee 18v multi tools are incredibly reliable and deliver a superb performance time and time again. The Milwaukee multitool has 12 variable speed settings that range from 12000opm to 18000opm. The impressive Milwaukee M18 oscillating multi tool is cordless so that it can be easy to use even in challenging workspaces. Plus, it utilizes REDLINK technology for overload protection, whilst performance is enhanced thanks to the handy FIXTEC tool blade change system. You will never over-cut whilst using the Milwaukee m18 fuel multi tool either, because of the cutting depth stop adapter. 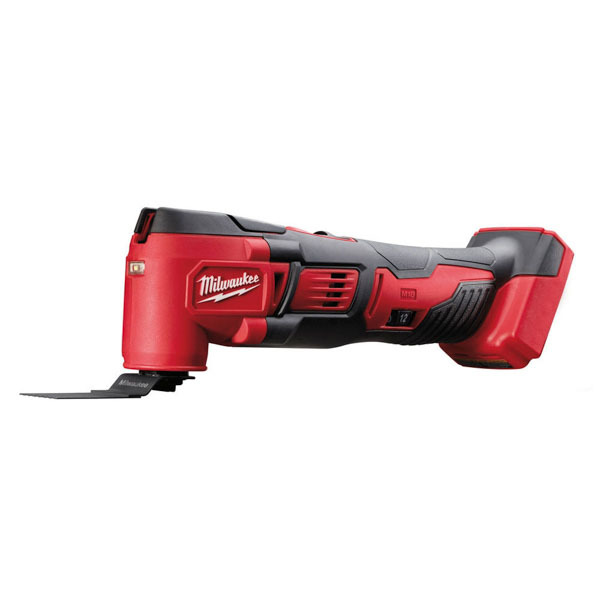 In addition to the Milwaukee M18 oscillating multi tool, we also stock the Milwaukee C12MT multi tool which has 12 variable speed settings from 5000 to 20,000 rpm and is suitable for both plunge or flush cuts. We take great pride in our products at SGS Engineering, and we are confident that you will love our Milwaukee multi tools available to buy now. You can purchase the Milwaukee multitool as a single unit, or alternatively as a bundle, which will also include the charger and battery for the Milwaukee 18v multi tools.